Our involvement with Digital signage is an outcome of 19 years of pushing the boundaries within the provision of creative solutions. Getting a high level of expertise from conventional signage and Digital print into the Digital signage arena was smooth. We now provide end-to-end Digital signage options providing every thing from software and display installation to network administration and graphics. 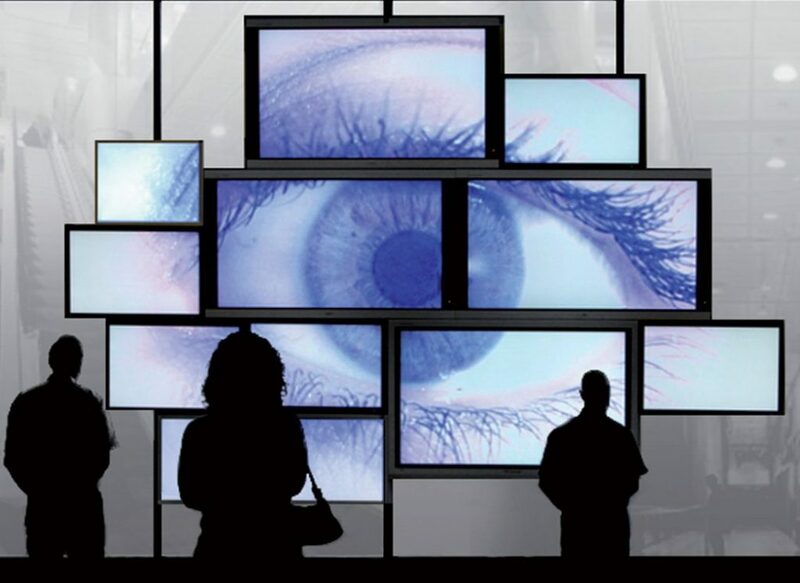 We provide the expertise that can make all aspects of Digital signage easy for your company. At Print Management PPM, we understand that the core component to any signage network is content, and our partner manufacturing department will invest time necessary to understand your needs and produce signage that communicates dynamically with your viewers. Our customers like our “one-stop-shop” answer as they don’t have to invest time and money in purchasing Digital signage options from the hardware/software provider after which also have to seek out a design company which not just has the abilities but understands the concept of Digital signage. This locates PPM inside a distinctive place and is additional strengthened when our team of technicians and designers constantly push the boundaries and achieve the unachievable when it comes to delivering to restricted deadlines without any compromise towards the high quality in the completed item. Digital Signage also fall under projection signage with a good example a The London’s Millbank Tower which was turned into a giant video building in order to celebrate the launch of a mobile phone. Using massive 3D projectors, the phone manufacture produced a spectacular light show with deadmau5 performing in front of the 400 foot Tower. 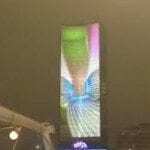 For the projectors to work effectively reflecting the video mapping animation on the building, the Millbank Tower was wrapped in a special window and wall vinyl which was applied by hand using the buildings window cradles. The window vinyl and wall wrap vinyl has a matt finish and can be easily removed once the project has been finished. With the constant development of self adhesive vinyl projecting onto walls, buildings or even monuments can be made possible. Project Print Management has teamed up with a specialist 3d mapping light projecting company who are able to project images even onto mountains! 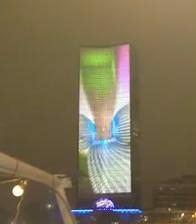 The visual effect of building projection is an amazing and innovative way to catch the public’s attention and create a huge video screen which just cannot be unnoticed! Digital Signage is really a phrase coined to explain using a display device pushed by a media player to current a variety of information, enjoyment or advertising to an audience who’re inside a position to see this kind of show usually to get a fairly short time. Show gadgets could be large format plasma or LCD screens (panel), projectors or pc display monitors. 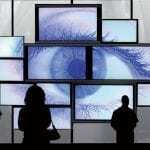 How is Digital Signage utilized? 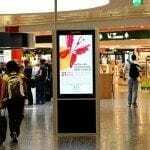 Digital Signage is really an extremely flexible medium with numerous makes use of. By showing current travel, public or consumer info Digital show keeps the general public updated, informed and targeted. 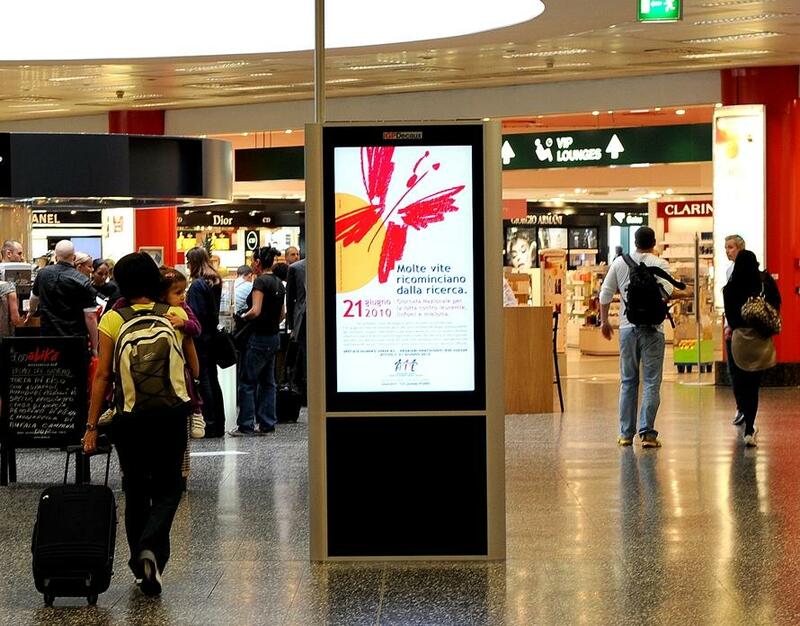 Examples are widely seen at airports and railway stations displaying arrivals and departures. This technology is also utilized in Physicians Surgeries, Dentists, Hospitals, Schools and Colleges. Actually anyplace where there’s a require to show info to assist the general public. Via in-store promotions and “offer” targeting, Digital signage is quick turning into the primary solution for all retail shops ranging from the small local shopkeeper towards the large multi-national supermarket. It’s also utilized in sports activities amenities such as gymnasiums and recreation centres as being a dual objective answer whereby additionally to offering manifested info, exactly the same show could be utilized for advertising whether or not it is advertising the facilities of the club or promoting sponsors’ products and services. Another advantage of Digital signage is that in addition to information and advertising, it can also be used as an enjoyment medium. It’s broadly used to offer reside or video clip & tv enjoyment to reduce customers perceived waiting times. This is turning into increasingly popular in shops like car showrooms, theatre and cinema foyers, even your nearby Video clip & DVD rental outlet. Think in the restaurant that wants to promote it’s “daily specials”, the retail outlet which wants to show “sale” items, or even the health or country club which wants to inform their clients of forthcoming events. All these can be produced utilizing a Digital signage answer rapidly and at far lower cost than providing “print” marketing materials, much of which might then be discarded once the event has passed. This form of marketing is growing at a faster rate than any other type of advertising, (excluding internet advertising), and this growth is coming at the expense of conventional media. 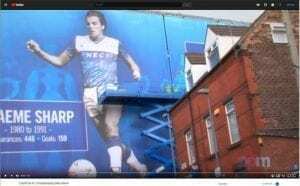 The growth can be attributed to two key factors: firstly the declining cost of the displays and networking technologies that connects Digital signs tends to make it an affordable option, but most important of all will be the increased effectiveness of Digital signage over conventional printed displays. Recently published research identified that an advert on a Digital signage system caught consumer’s attention 63% in the time. By comparison magazines scored 57%, TV 47% and the Internet 40%. The simplest and lowest cost solution is really a Digital poster which is very similar to the Digital photo frames you may have seen. This poster comprises an LCD screen with an inbuilt memory card reader and processor to show the images. Images could be stored on the memory card and when the unit is switched on, these images will be displayed in sequence on the display. An “image” might be a pack shot of a product which you are selling, it could be a text display describing a special offer or it could even contain a video-clip. All these images can be displayed with or with out sound. The Digital Poster has its own inbuilt pc which will allow you to set start and finish times for each group of images that have been set-up in a “play-list”. This allows you to display different groups of images at different times in the day. It also allows you to vary the time an individual display is displayed, giving the person viewing more time to read posters with lots of information and maybe less time where there’s extremely small info. For more demanding applications we can supply LCD Large Format Displays. These could be provided with and without TV Tuners. Sizes can range from 32? again up to 84? diagonal. For single screen applications, typically a Pc will contain the Digital Signage program and this will be output to the Large Format Display screen. Ideally this should be a dedicated Computer and we can provide micro-PC’s which can attach to the rear of the screen thus eliminating the require to house the Pc on a desk or on the floor. We supply a really elegant solution from Samsung which comprises of a large format LCD screen with an inbuilt “networked” Computer containing not just the Digital signage software program and the plan which has been designed for you, but we also have the ability to remotely update your signage message over the internet. This also provides a lower cost answer than traditionally getting a separate Pc to run the Digital Signage application (although this option is often preferred for larger installations).